According to a recent rumor, Apple seems to be working on next event in which we will see a bunch of products. The event will be hosted on October 15th 2013 and Apple may also announce new Intel’s Haswell processor powered MacBook Pro. According to MacGeneration, Apple’s October 15th 2013 event is definitely going to be there and we can see an iPad, iPad mini 2, Mac Pro, MacBook Pro and OS X Mavericks. Apple has already done with launching of two iPhones, one is colorful, affordable and second one is the upgraded one. No its time for the fifth generation iPad which may get the same Touch ID feature that was introduced in the iPhone 5S. The new iPad can also bring lots of new features particularly a new processor that will be based on 64-bit architecture and Apple can also introduce the latest Motion co-processor. This means that processor inside iPhone 5S can also be used in the new upcoming iPad. Next device will be iPad mini 2 which will be the second generation of mini version of iPad. Apple has been already successful with the iPad mini without even providing the Retina display technology in that. But this time it looks like Apple may introduce Retina display technology in the iPad mini 2 along with a new upgraded processor. The already announced Mac Pro can be made available just after the October 15th event. So this can be another device which will join the launching lineup at the event. 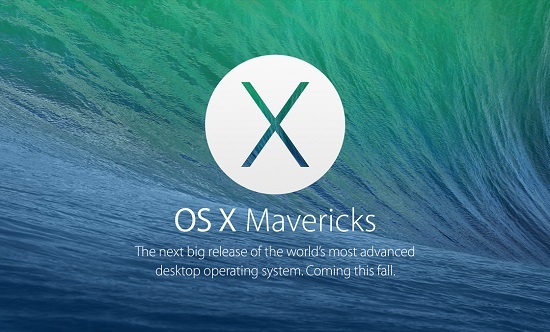 Next product can be the all new OS X Mavericks which will be the next generation OS for all Mac PCs. Apple has already upgraded the operating system of its mobile devices and now it’s time for the PCs. This new version of OS will bring new user interface along with a long list of new features. The last expected product can be a MacBook Pro which will join the MacBook lineup launched in 2013. The new MacBook Pro will have Retina display and operate on Intel’s Haswell processor that will not just increase the performance but also offer increase in battery life. If this rumor comes up right then this event will be the last event from Apple this year as all expected devices will be launch. The product for which I’m waiting for is the iPad mini 2. I hope this time Apple brings Retina display technology into it.